Two factors have led me to create this blog. First, there is my concern that the proper way to study maps and mapping is through an approach that emphasizes the processes of producing, circulating, and consuming maps. After all, the best way to explain a phenomenon is to study the processes that give rise to it. This approach has many implications, especially with respect to map history, that I would like to explore further. Second, I have long thought that maybe the history of linguistic communities might serve as a useful analogy for mapping communities. I therefore paid attention to the keynote lecture during the June 2011 conference on the “Gough Map” at the Bodleian Library, by Jeremy Smith, professor of the history of the English language at Glasgow University. He gave such a wonderful talk that I looked up some of his published works. Which is how I encountered his incredible An Historical Study of the English Language (Smith 1996). This work is not a history of English, but an investigation of an ontological question: how do we understand a language such that we can tell its history? It did not take me long to think that map studies requires a similar work. 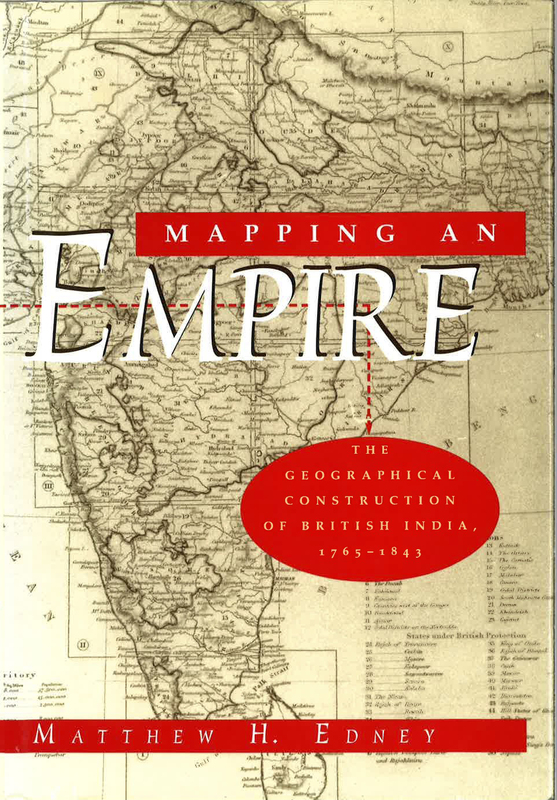 1) Cartography: The Ideal and Its History reveals “cartography” to be an idealization of the nature of maps and mapping that obscures actual mapping practices; the book explores the ideal’s flawed preconceptions and convictions and denaturalizes it by showing how it developed after 1800. This book is now with the University of Chicago Press, for publication early in 2019. 2) A History of Map History will cover how the history of cartography has been studied in support of the ideal, how scholars have reacted, leading to sociocultural map studies, and how some have pushed for a processual approach to map studies. 3) Mapping as Process will explore the principles underpinning a processual approach and how it permits the study of maps and mapping, whether early or contemporary, without falling foul of the preconceptions of the ideal of cartography. Beyond these projects, it seems a logical progression to then implement the processual approach in a single-volume history of maps and mapping. b) to provide a forum in which I can develop ideas and content for each of these projects. I’m not completely sure how the blog will work. I think it will likely be a mix of longer pieces by me, that I hope will help me come to terms with precise issues, and of short-to-long pieces reacting to how scholars continue to adhere to normative cartography. The blog is unashamedly academic and intellectual. I am enough of a realist to know that it will likely not stay this way. Other blogs set up for such overtly academic ends have not necessarily lived up to their creators’ expectations and I have no reason to expect that there are that many people inhabiting the Intertubes who will be interested in my ramblings. I would like to have a longer piece each week; we’ll see if I can manage such a rate. Also, I like maps too much not to miss a chance to have more fun with them than is permitted by historiographical and conceptual essays. So who knows? Smith, Jeremy J. 1996. An Historical Study of the English Language: Function, Form and Change. London: Routledge. >> I launched this site several months early, so as to be able to provide some pages re ISHMap (next blog entry), so posting might be slow until April 2018 (planned launch date).